Today marks the Appearance of Srimati Radharani. We honor it with a half day fast, puspanjali, discussion on the glories of Srimati Radharani, followed by a feast. 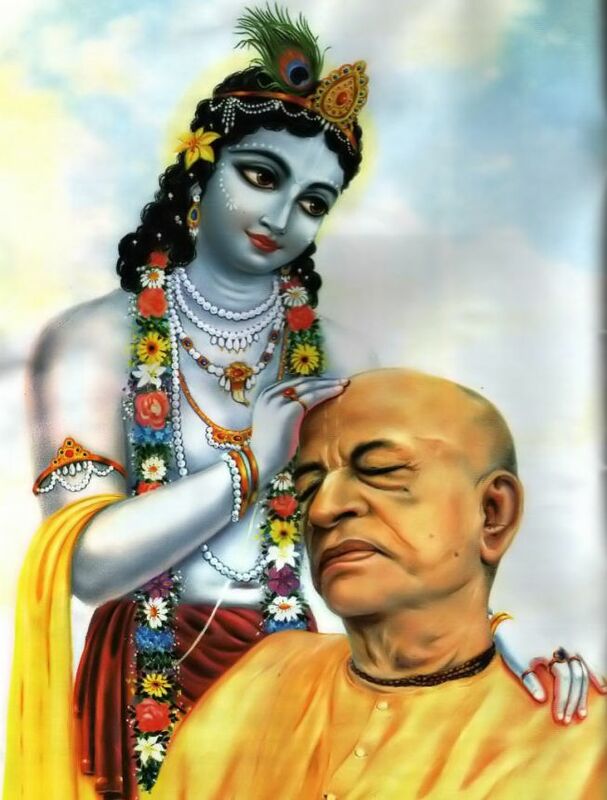 The following are just a few of the many quotes from Srila Prabhupada which encourage us to approach Krishna through the mercy of Srimati Radharani, Krishna’s eternal consort. For those of us who feel that there is no hope of making spiritual progress in this lifetime, Srimati Radharani, Who is compassion personified, kindly comes to our rescue if we can humbly invoke Her divine blessings. 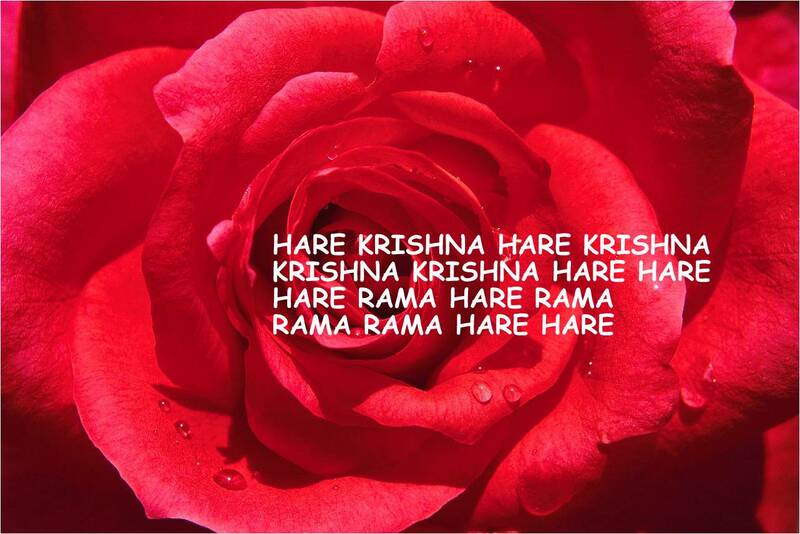 “The three words, namely Hara, Krishna and Rama, are transcendental seeds of the maha-mantra, and the chanting is a spiritual call for the Lord and His internal energy, Hara, for giving protection to the conditioned soul. The chanting is exactly like a genuine cry by the child for the mother. Mother Hara helps in achieving the grace of the supreme father, Hari, or Krishna, and the Lord reveals Himself to such a sincere devotee. 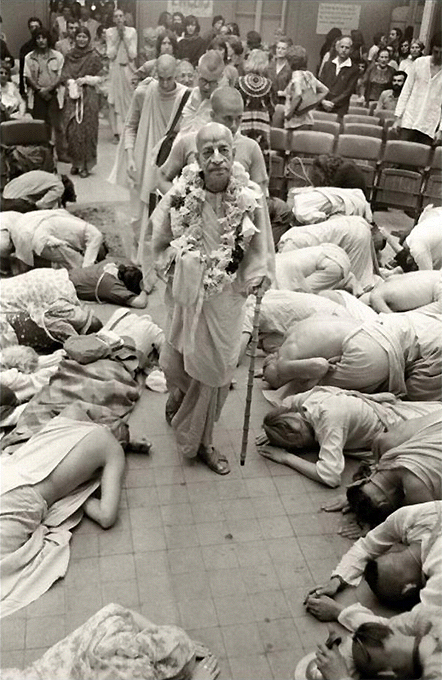 This is a nice compalation of quotes by Srila Prabhupada on the class of devotee known as ‘ahajiya’. This morning I awoke to the news that Donald Trump has been elected as President on the United States of America. For some Americans this is frightening news. Others are rejoicing. I think we can all agree that the world is a dangerous place. This post by Padmapani Prabhu is really quite timely. Ever since the tragic events of September 11, 2001, the world has been faced with unprecedented danger and uncertainty. Recent headlines suggest that the threat of terrorism has reached critical proportions. News of another possible attack in the U.S. has been circulating in the press and the rhetoric of war has dominated world politics for quite some time. Once again we are forced to contemplate our fragility and mortality in this material world. Anything can happen now and we know it. 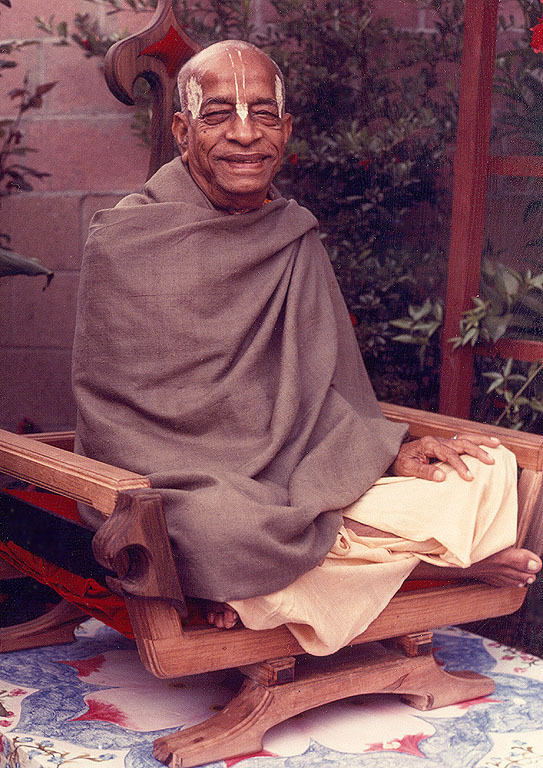 Thanks again to Padmapani Prabhu at The Prabhupada Connection for compiling this nice list of quotes on accepting the authorized plan for happiness. 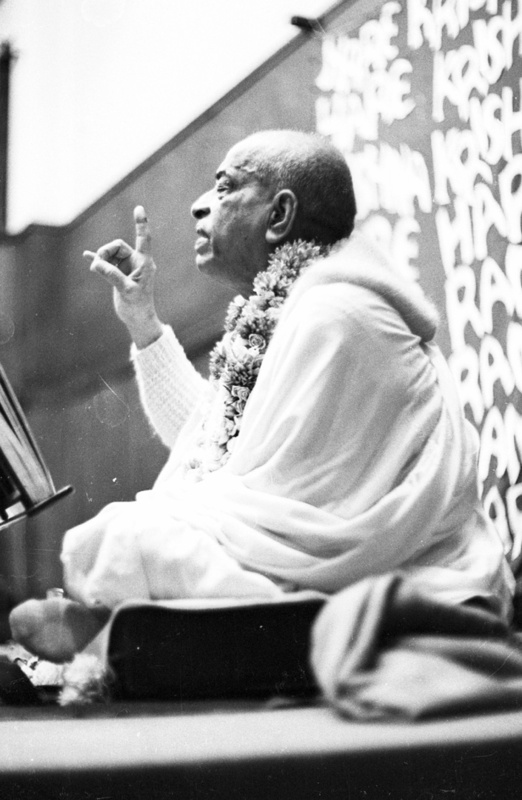 Today we present a fascinating collection of quotes consisting mainly of letters from Srila Prabhupada to his disciples on the subject of using one’s God-given talents for Krishna. 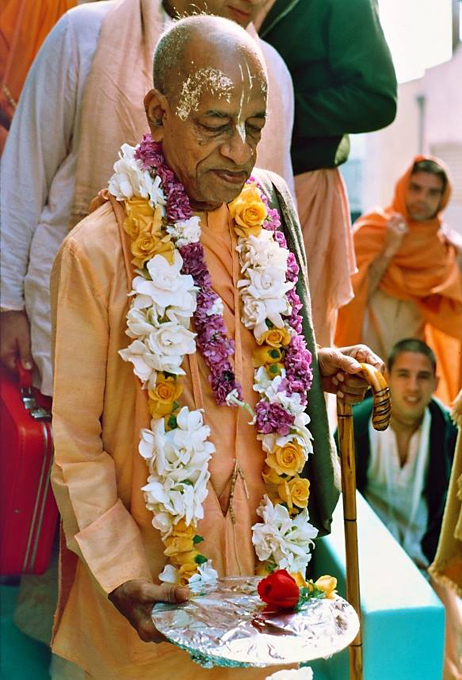 Prabhupada makes it so simple. The following is an article that was sent to me through email sometime back. I just recently got a chance to read it in full. 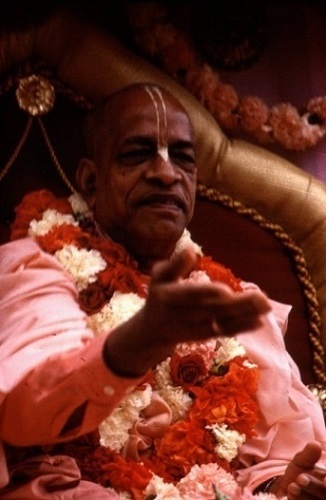 There are many very good quotes by Srila Prabhupada, on the matter of accepting a bona fide spiritual master. I did some slight editing (highlighting) but all the notes and comments are by the author. 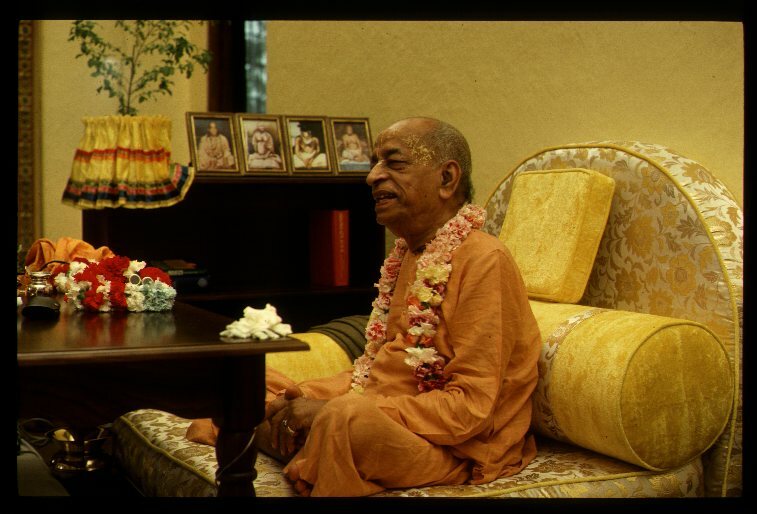 In order to attain the highest perfection of life one must approach a bona fide spiritual master coming in the disciplic succession from Lord Krishna Himself. 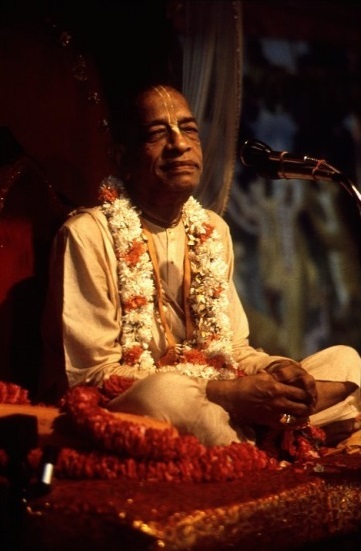 The self-realized spiritual master is able to present the real conclusions of Krishna’s instructions in a way that can be understood and executed as applicable to this day and age. This is the special purpose and great need of accepting a bona fide spiritual master. 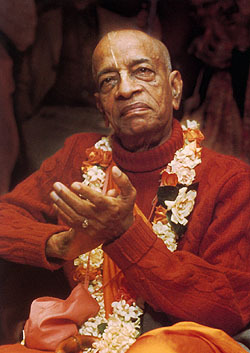 The rare opportunity to approach a bona fide, self-realized spiritual master coming in the authorized chain of disciplic succession is available to everyone today and is indeed intended for everyone [in every town and village] to take advantage of, owing to the mercy of Sri Krishna Chaitanya Mahaprabhu and His Divine Grace Srila A.C. Bhaktivedanta Swami Prabhupada. 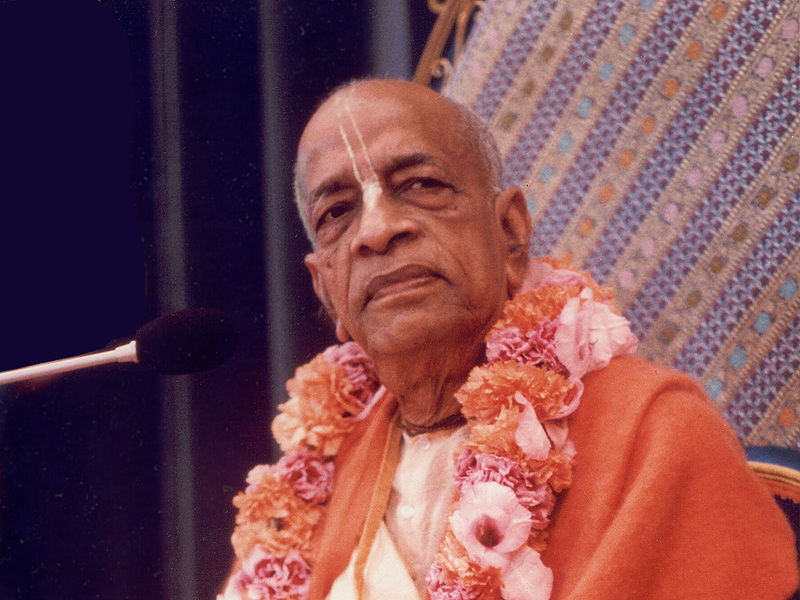 Readers will find this composition instrumental in ascertaining the philosophical basis of taking shelter of Srila Prabhupada – the current approachable link in the disciplic succession – by adhering to the principles and instructions given in his books. 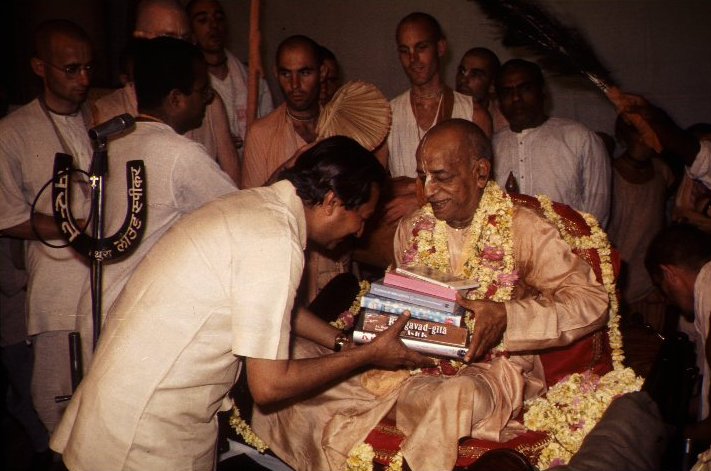 The execution of Srila Prabhupada’s discipline will surely elevate one to the perfectional stage of life leading back home, back to Godhead. 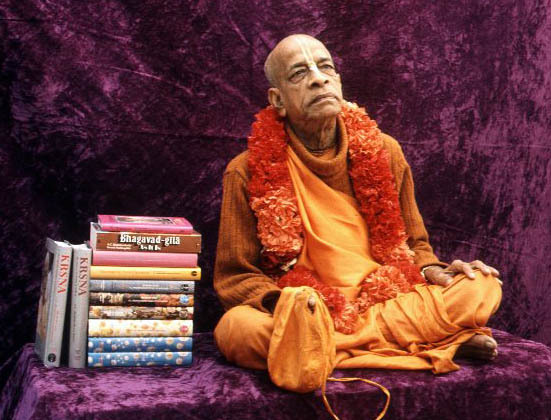 The following is a nice collection of Srila Prabhupada Quotes on the importance of reading and hearing, compiled by Sri Vrindavan das. 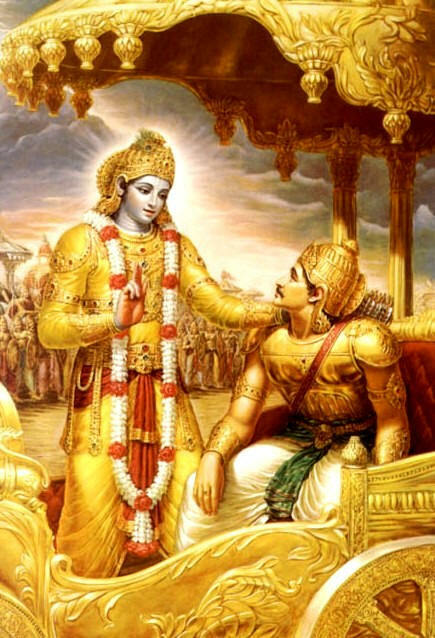 Paramahamsa: My question is, a pure devotee, when he comments on Bhagavad-gita, someone who never sees him physically, but he just comes in contact with the commentary, explanation, is this the same thing? 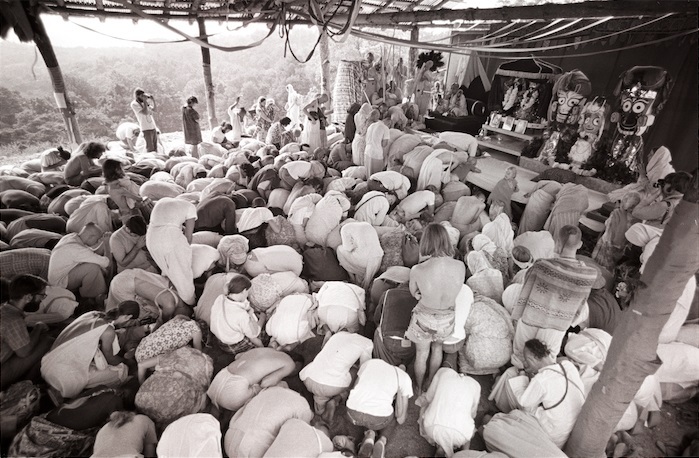 Here is a new word for your Vaisnava Vocabulary; Acaryopasanam. I ran across this word the other day while reading and had to go to Vani Quotes to get a better understanding of the word. The following is some of data which came from the researched words: “acaryopasana” and “acaryopasanam”. Interesting that I have heard or read this word many times and never bothered to look it up. I think it was the previous post that must have sparked this sudden interest in acaryopasanam. 1. The serious candidate must accept a bona fide spiritual master in order to be trained scientifically. Because the senses are material, it is not at all possible to realize the Transcendence by them. Therefore the senses have to be spiritualized by the prescribed method under the direction of the spiritual master. 2. When the student has chosen a bona fide spiritual master, he must take the proper initiation from him. This marks the beginning of spiritual training. 3. The candidate must be prepared to satisfy the spiritual master in every way. 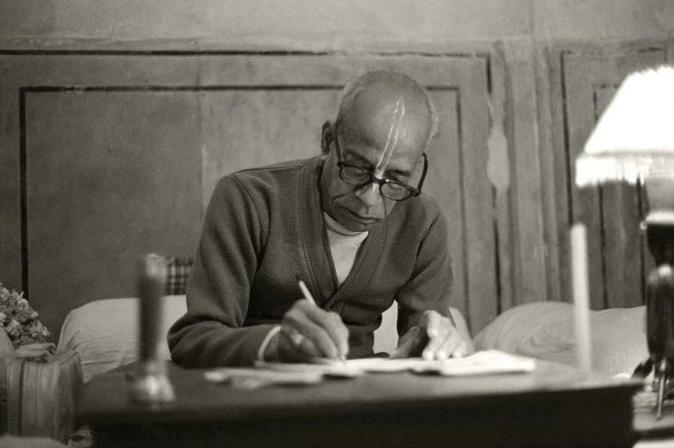 A bona fide spiritual master who is fully cognizant of the methods of spiritual science, learned in the spiritual scriptures such as the Bhagavad-gītā, Vedānta, Śrīmad-Bhāgavatam and Upaniṣads, and who is also a realized soul who has made a tangible connection with the Supreme Lord, is the transparent medium by which the willing candidate is led to the path of the Vaikuṇṭhas. The spiritual master must be satisfied in all respects, because simply by his good wishes a candidate can make wonderful progress along the path. We share with you some of the the results of the Vani Quotes Research team, and thank Visnu Murti and Mayapur prabhu’s efforts. This very nice compilation of Quotes, compiled by Rakshana Prabhu, appeared today on the Sampradaya Sun. We reprint it here in its entirety. 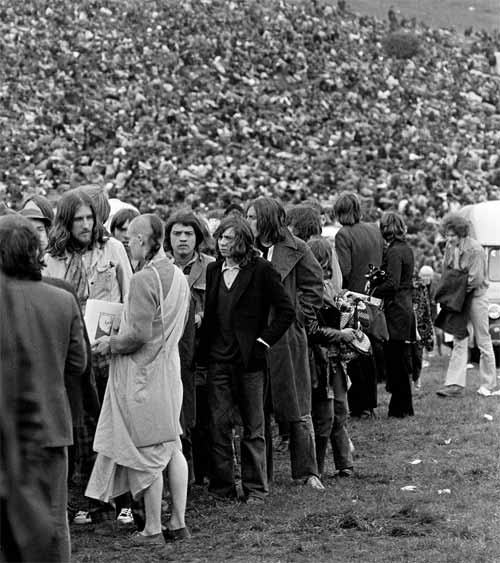 The quotes contained in this paper are support for the efficacy of the many forms of transcendental sound vibration imparted by the spiritual master and the Lord, especially the vibration of pure Vedic scripture as spoken by Srila Prabhupada. They are not a challenge or alternative to the eternal principle of accepting a ‘bona fide’ spiritual master and surrendering unto him. Nor are they meant to obfuscate the potential for higher understanding and taste experienced in saintly association. 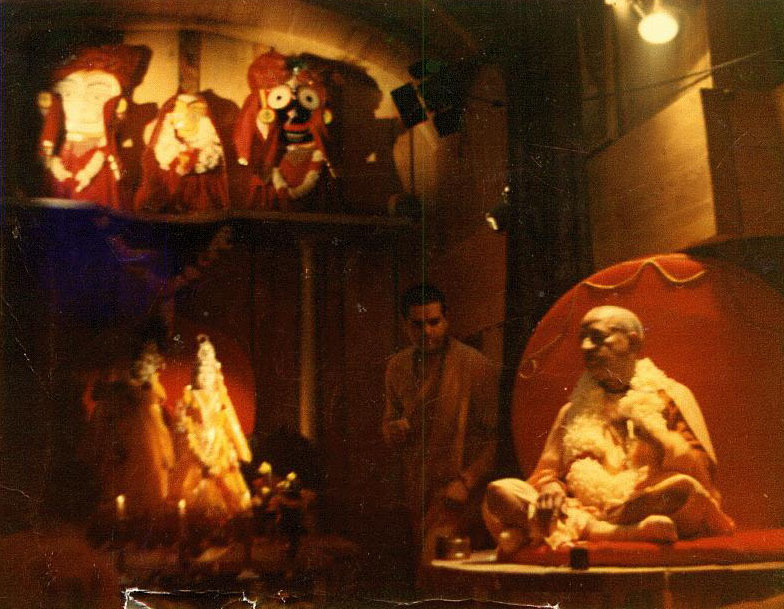 Unfortunately, devotees in some Gaudiya Vaisnava societies believe that transcendental sound cannot be fully potent unless the speaker is physically present within earshot. 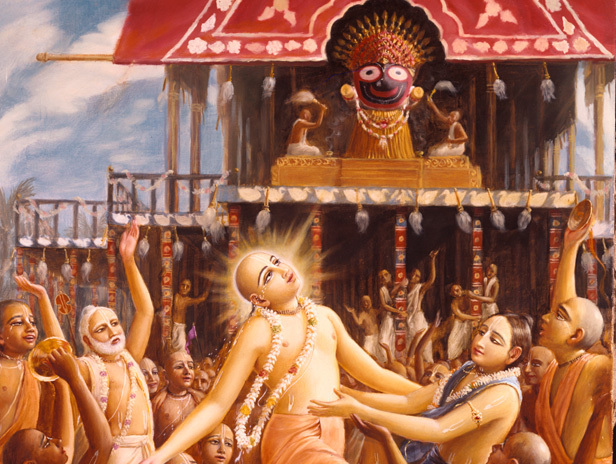 Of equal concern is the ISKCON strategy of creating ever-new imaginative directives aimed at corralling followers into subservient impotence. Some of the quotes are well known to quite a few devotees, although repetition of transcendental knowledge is never redundant. 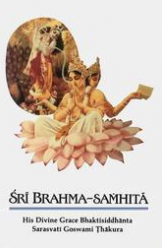 These quotes are simply a window toward understanding the glorious variety of spiritual relationships sanctioned by the Lord, and an opportunity to admire the qualities of all genuine devotees, regardless of status of initiation.